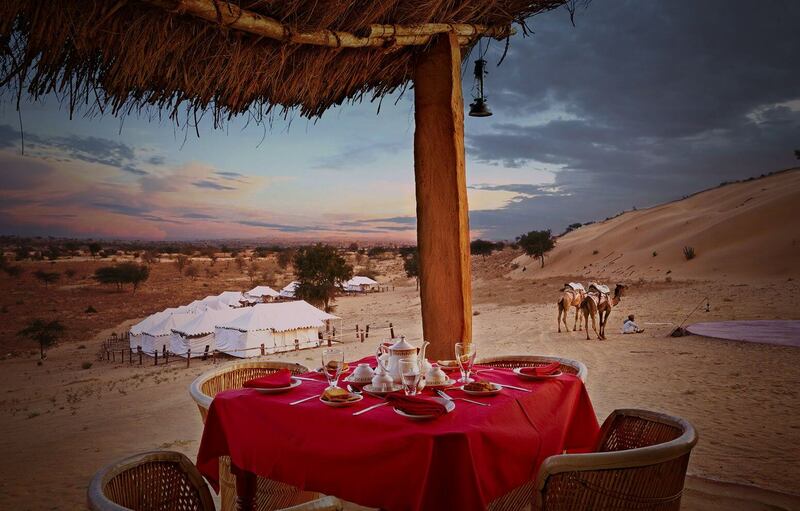 The Desert Haveli Resort and Camp is one of the finest heritage resorts in Rajasthan. 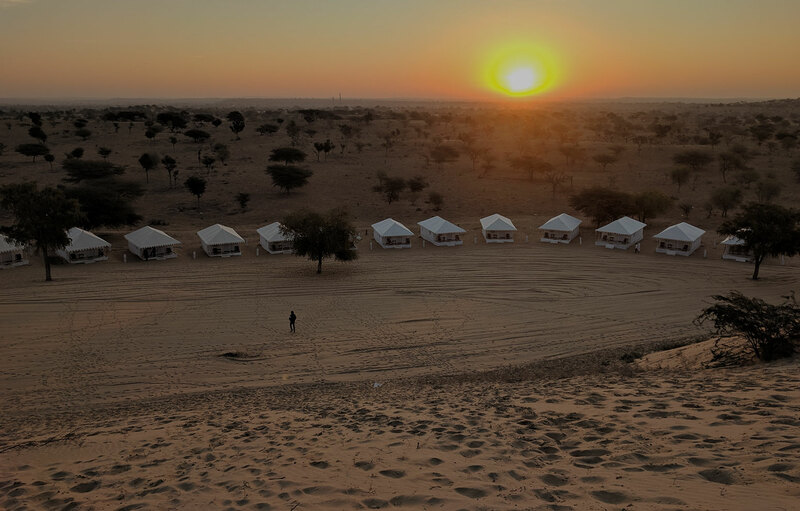 This beautiful property is located in the heart of Rajasthan- Thar Desert; between Jodhpur and Jaisalmer. 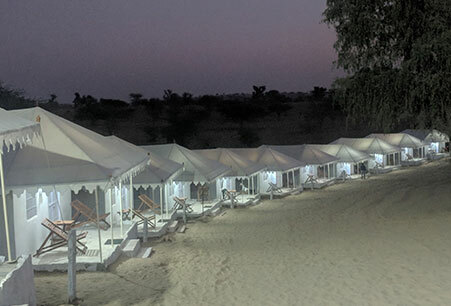 It is the perfect place to spend your leisure holidays as it is one of the best luxurious hotels in Jodhpur with rural surroundings and traditional hospitality services with ultra modern amenities for your utmost comfortable stay at Desert haveli resort and camp. Here you can revive the vibrant colors of Rajasthan’s rich heritage, culture, customs and traditions. This Jodhpur heritage hotel’s ambience is warm and peaceful. Your sight can enjoy the view of sprawling lawn and manicured gardens. Here you can also get sight of many birds in the nature’s arms. This property is a heaven of tranquility and peace in the surrounding nature. 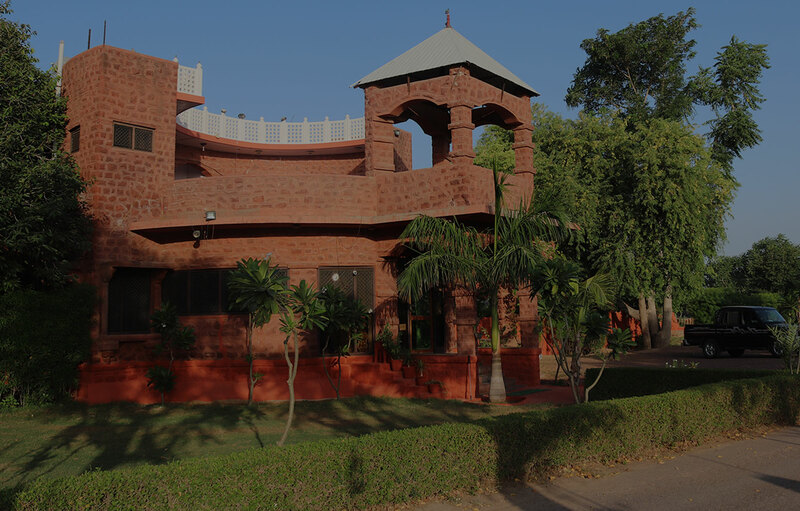 It is indeed the perfect gateway to your holidays and one of the best resorts in Jodhpur. food at our Dining area. hotel to park upto 5-6 cars. Guest can call up at the reception. can accommodate up to 40 persons. I think it's like the heaven in the Desert. Really i was out of mind The view and the hotel was really too beautiful.actually it was a student Tour and we were 6 friends. 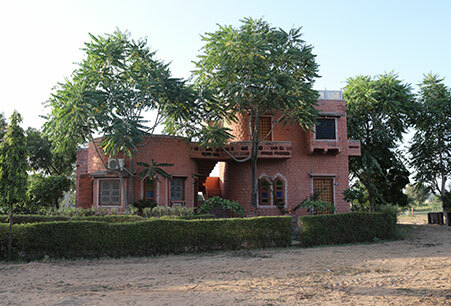 A really beautiful resort...greenery ..rooms ..interiors..all keeps u in touch of d historical rajasthani culture..... It was a fun being dere...a very beautiful place...awsm scenic view... 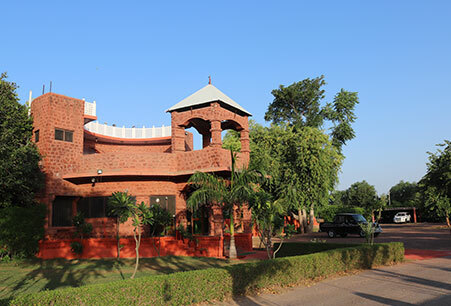 The services provided by Haveli is really good..
Desert Haveli Resort and Camp is one of the finest heritage hotel in Jodhpur with traditional hospitality services, keeping the true essence of royal rajasthani culture alive in their surroundings and providing pure aroma of peace and tranquility to their guests. @2017 Desert Haveli Resort & Camp Jodhpur. All Rights Reserved.